Hello, lovelies! I (Emma here!) 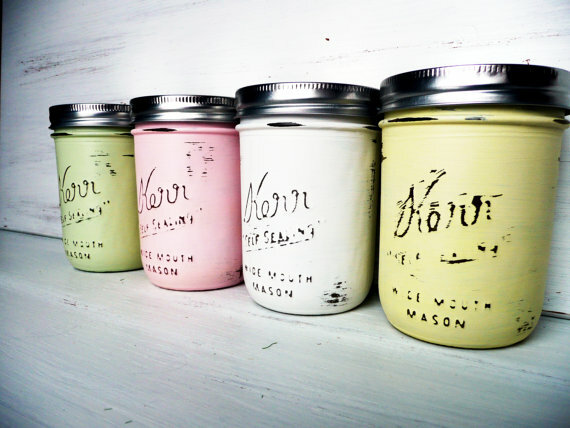 adore mason jars like the next girl, but painted mason jars are my newest obsession. If you’re planning a shabby chic wedding or one with a vintage, cottage-y look, I recommend Beach Blues: Missy is amazing! 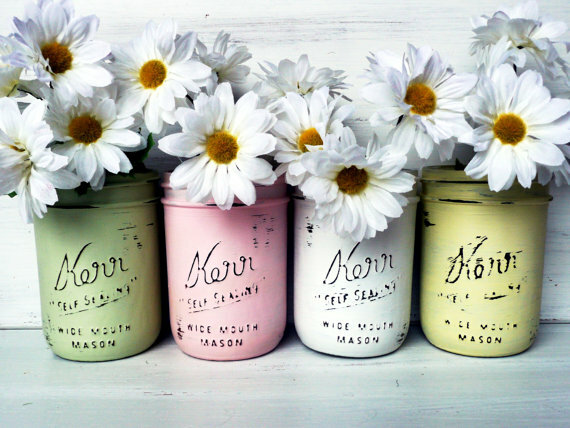 These hand painted mason jars are one of my newest favorite handmade finds and can be made into instant centerpieces with a handful of flowers. To view the entire collection, check out Beach Blues.